Psalm 92:14 reads Even in old age they will still produce fruit; they will remain vital and green. In October, Trinity Terrace Retirement Community yielded much fruit, as we made Books for the Border our fall mission project. Trinity Terrace is not a faith-based community, but it is a community of many faithful people who care. As chaplain for the past five years, I knew our community would get behind Books for the Border, sharing our resources to make a difference. We have many retired educators, librarians, and community leaders who know well the value of early literacy. 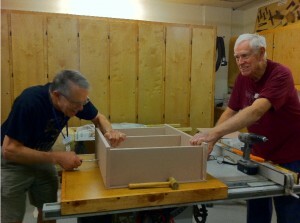 Our retirement community has a woodworking group called Tinker’s Den–and they definitely go beyond tinkering, as they crafted 26 bookcases for our project. Other residents hit the bookstores, while others encouraged great grandchildren to donate from the books on their shelves. Still others gave generous donations to help purchase lumber and paint, and to buy additional books at the Friends of the Library sale. Our project was a great success, as so many people were eager to help in whatever way they were able. 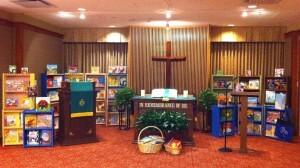 It was exciting to see the bookcases and books grow to cover the entire front of the chapel. On the final Sunday, we held a Vespers service dedicated to a Blessing of the Books. It was a meaningful culmination of the retirement community and Books for the Border bearing fruit together. Posted on November 26, 2011 by Pam Moore	in Books for the Border | Tagged Trinity Terrace | Comments Off on I joined Literacy Connexus . . .
Several years ago, at the Church Librarian’s Conference in Dallas, I came upon the Books for the Border display. I was intrigued. After talking to Lester Meriwether for only a few moments, I was hooked on this program. I was surprised to learn that seven Texas counties are on a short list of the poorest in our country. I was moved by the idea that education, access to books, and teaching families to read together are ways to end the poverty cycle. 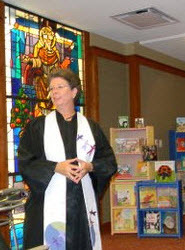 Lester used words like family libraries, literacy missions, and book fairs. Well, as an avid reader, a school and church librarian, and a Texas history teacher, I felt called to listen and respond. God used that quick meeting to open my eyes to ways I could use my time and talents to serve Him and His people. Enthusiastically, I came back to Tyler and my home church, First Baptist, with many ideas. We were fortunate to have Rev. Scott Wiley on our staff who has a real passion for Family Ministry. He and I worked together with Lester to plan a Books for the Border family mission trip to Starr county. About 40 FBC members of all ages built book cases, held a Book Fiesta, passed out Bibles and books we had collected, and shared with many families the importance of reading aloud to children. It was fun and fulfilling. 1. Pray and listen to how God is moving you to use your talents and interests to serve others. 2. Contact Literacy Connexus and find out how easy it is to help get books into the hands of people who have none. 3. Take action! Hold a book drive, collect money, build bookshelves, sit and read to a child, volunteer at your local literacy center. DO something! 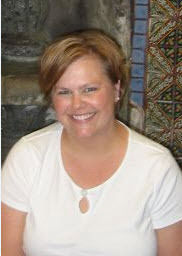 Posted on November 10, 2011 by Pam Moore	in Books for the Border | Comments Off on I joined Literacy Connexus . . .